Kathy has been a Thousand Oaks resident since 1983 and is very active in the community with teaching and sharing her passion for dance. She began dancing in 1976 and has been teaching various dance styles since 1991 which include: country line and partner dancing, two step, clogging, east and west coast swing, salsa, waltz, cha cha and night club two step. Her venues have included Conejo Valley, Agoura Hills and Rancho Simi Parks and Recreation, City of Moorpark, Learning Tree University, Conejo Valley Adult School, Borderline Bar and Grill and other public locales. She originated monthly country and swing dances at Conejo Community Center, serving as instructor and DJ, as well as at the quarterly country dances at the Camarillo Community Center. As a dancing DJ, she easily combines her talents to entertain at company and private parties, dances and weddings. Kathy has competed and performed solo, with partners and on teams at many competitions and events throughout the years. Kathy is Director of Country & Rhythm in Motion, a performance dance troupe which she founded in 1995. Membership is open to anyone who loves to dance and is willing to practice for various shows as they come up. The Thousand Oaks based troupe ranges in number from 10-46 and performs at local community events such as street fairs, international festivals, arts and crafts fairs, chili cook offs, Conejo Valley Days carnival and the Ventura County Fair. 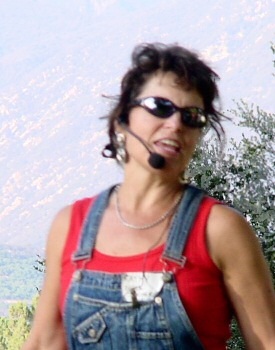 Kathy co-produced and is featured on her own instructional DVD entitled Let's Dance Country. It includes original choreography, as well as popular country line and partner dances. You will learn 15 dances for only $18 plus $2 shipping. Click on the DVD link at upper left for more information. Other dance styles Kathy has studied include square and round dancing, contra, ballroom, clogging, jazz, tap, ballet, hip hop, modern, lindy, charleston, Polynesian and belly dance. 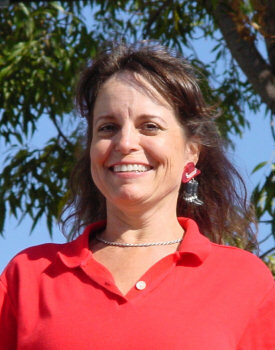 She also has taught step aerobics at gyms, studios and the Thousand Oaks Teen Center. In addition, Kathy has been an Avon representative since 1986. As you can see, she keeps busy — but there's always time to dance!